A country of its own kind, Bosnia has a unique way of presenting itself to the world; something that is hard to find and impossible to mimic. Bosnia is a common name for Bosnia and Herzegovina. Situated amongst the lush green and vast mountain range of the Dinaric Alps, Bosnia is mostly mountainous. Although this country had earlier been deemed as an underrated country for the travelers, Bosnia is really picking up with tourism. Its climate, culture, aesthetic beauty, epic landscapes and wide range of places to visit, are few of the many reasons which may take your breath away! 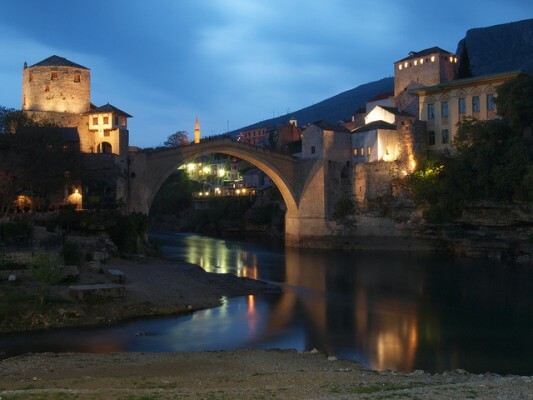 We list you the ten most wonderful and culturally rich places to visit in Bosnia. 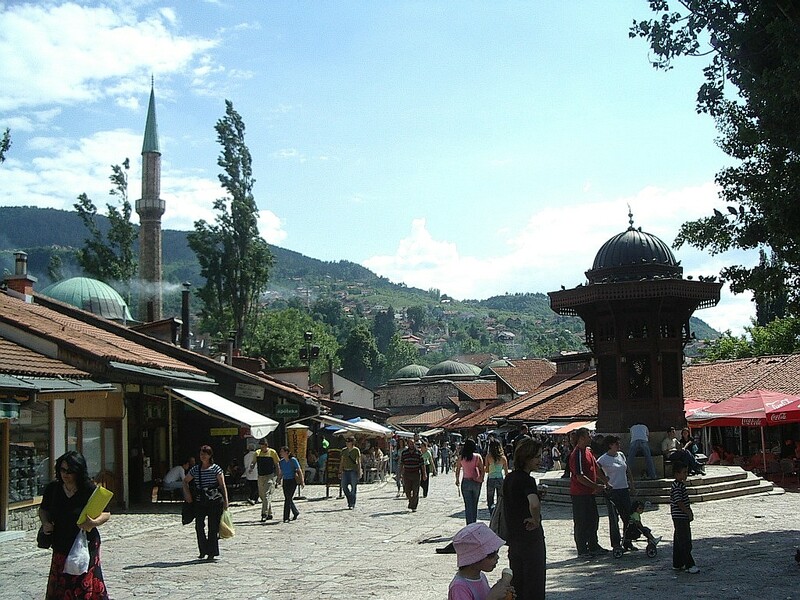 Sarajevo is located in the heart of Bosnia which makes it the most visited place in the country. Being the capital and the largest city of the country, this place has a great impact of the Turks as it was a part of the Ottoman Empire and thus its architecture is garnished with what we call the “Ottoman look”. From mosques to shops and squares, Sarajevo fills the wanderers with awe. One of the main tourist destinations in the city is the Baščaršije which counts for being the city’s cultural hub and market place. For instance, the Gazi Husrev-beg Mosque and Sahat-Kula are few of the many wonders of architecture. Sarajevo contains a lot of essence in the fields of history, religion and culture. Also known as the “Jerusalem Of Europe”, this city houses numerous religious and attractive Churches, Mosques and Synagogues, making it one of the most diverse capitals in the world. Another of the eclectic places to visit is Mostar. A “must – have – in – the – bucket – list” destination, Mostar is another of the larger cities of Bosnia and gathers major tourist attraction! One of the main reasons for such immense visits to this city is the Old Bridge of Mostar (Stari Most). Huge and intact, this bridge was rebuilt around the 90’s and is the pride of this city. The Old Bridge is surrounded by mountains and hovers over the calm Neretva River and represents the exemplary architectural skills back in the days. Next in our list is the third largest city of Bosnia, Tuzla. Tuzla is the economic, scientific, cultural, educational and health centre of Northeast Bosnia. Tuzla houses two of the well known universities of Bosnia: University of Tuzla and American University in Bosnia and Herzegovina! 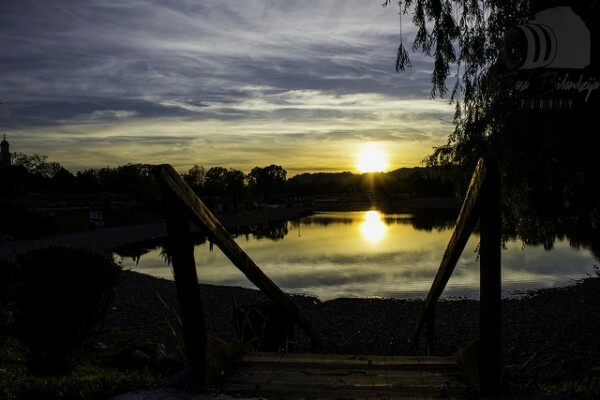 Apart from its scenic beauty, this magnificent city is also famous for its Panonsko Jezero – an artificial lake, a tourist spot for those hot summer days where you experience great hospitality coupled with many recreation activities. 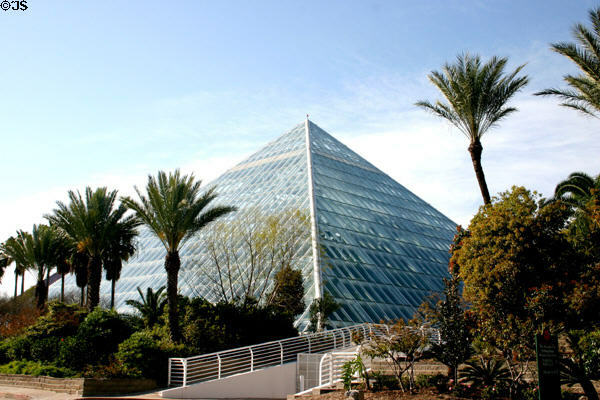 Those travelling with the family, this place should definitely be on your look out! Jajce is a city situated in the mountains on the confluence of the rivers Pliva and Vrbas. This should strike a bell in your mind where you will be bound to think about the beautiful waterfalls belonging to this city. Jajce is famous for its mesmerizing scenic beauty in the form of the glorious waterfall where the Pliva River meets the river Vrbas. How sublime! There is a beautiful countryside near the city along with the rivers such as the Vrbas and Pliva, lakes like Pliva lake which makes this city a popular destination for the local people and the tourists alike. The name is enough for the travelers to get enthralled by this fascinating landmark in the Southwest of Sarajevo. 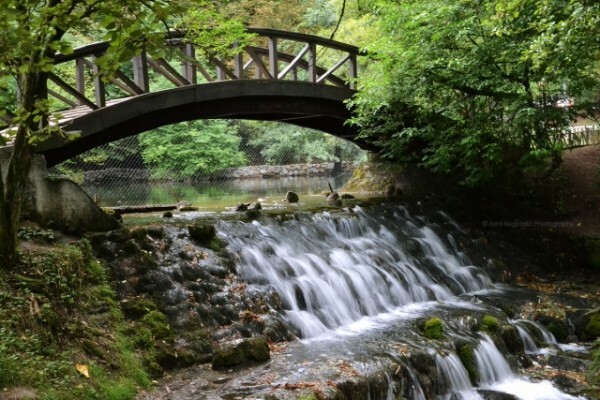 Vrelo Bosne or Spring of the Bosna River is one of the most sought after tourist destinations because this region is considered in the list of top natural landmarks of the world. With epic landscapes and stunning scenic aestheticism, this park is next to impossible for any traveler or non-traveler to miss. 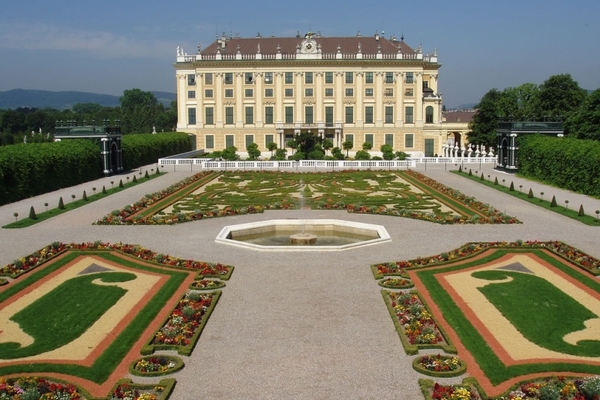 Playgrounds, cafés, ice-cream stands, horse and carriage rides, photographers, and painters are all found here. It’s a one stop away from the city’s hullabaloo with the calm river flowing along the stretch. So serene and calm, the crystal clear waters of The Bosna River will give you pure bliss and solace. If you go to Bosnia, I’d recommend you to definitely stop by Vrelo Bosne. 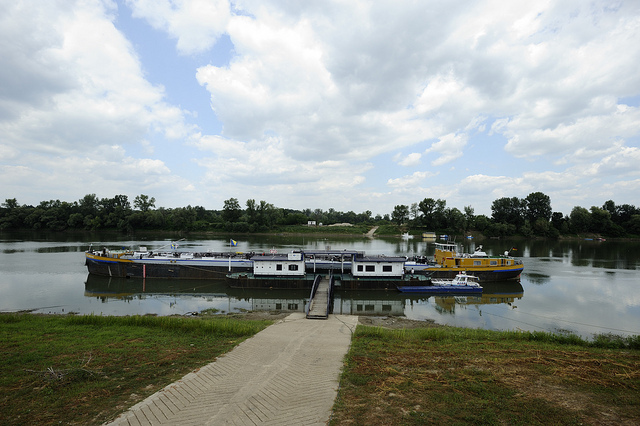 Brčko lies on the Sava River( of the northern region of Bosnia) which borders Croatia. A fun trivia, you can stand along the Sava in Brčko and see Croatia just across the river! This city counts itself for having the largest port in Bosnia and houses many famous celebrities, for instance, Edo Maajka, rapper, Mladen Petrić, footballer, Jasmin Imamović, politician and many more renowned people from different fields of art, culture, sports and politics. Just like the other cities, Brčko stands out for its diversified population consisting of Serbs and Croats living harmoniously. 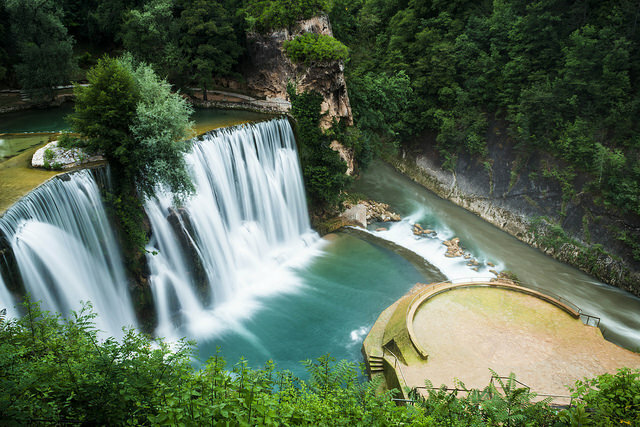 One of the most recently established landmarks in Bosnia is the Una National Park in the municipality of Bihac, in around the Upper Una River and the Unac River. Established in 2008, this park was established for the sole reason of protecting the unspoiled, clear and natural Una and Unac rivers which run through it. This national park exhibits a unique and complex natural environment suitable for conservation of landscape and biodiversity. 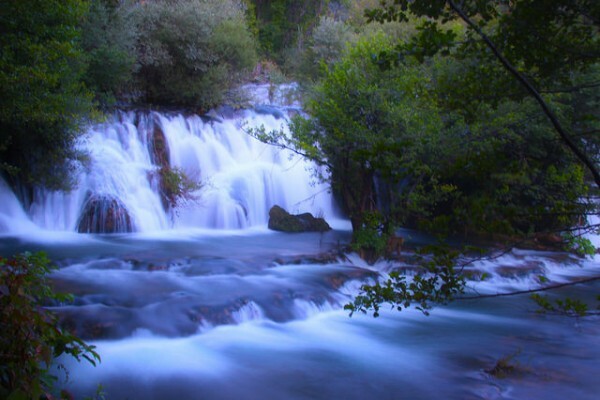 Famous natural features around the park are the Una waterfalls at Martin Brod, along with the Unac River and its canyon, and the Una itself! So much of natural beauty around, no wonder it needs to be conserved! The bare stone walls and timber floors of this museum, located in a Sarajevo synagogue built in 1581, provide an aesthetically pleasing space for a small but well designed and laid out museum dedicated to the city’s long Jewish history. 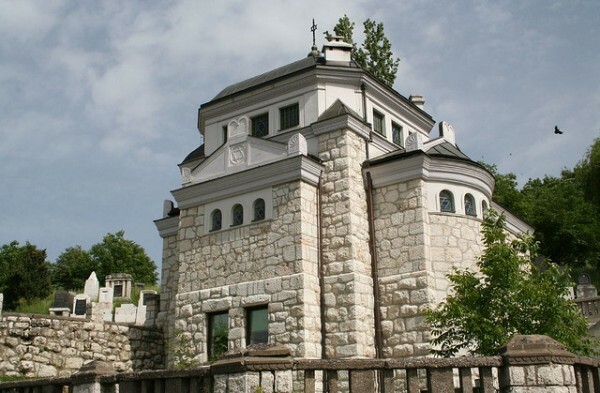 Small in size, the three floors of this museum include a real synagogue, details about Jewish life in Bosnia before World War II and a tribute to the Holocaust victims and those in the country who helped save Jews from the Nazis. 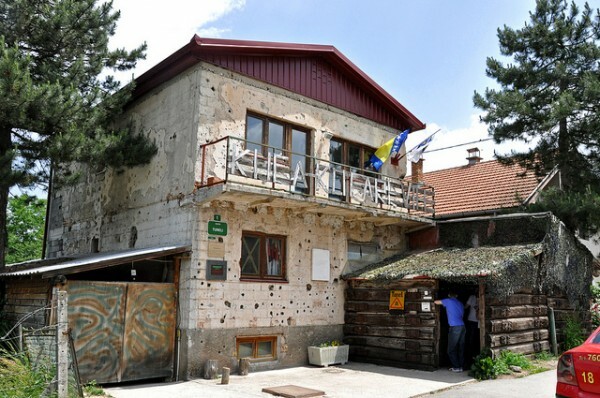 Carefully restored, you have to stop to visit this place when in Bosnia! The historic bridge, The Mehmed Paša Sokolović Bridge in Višegrad over the Drina River in eastern Republika Srpska is a representative masterpiece of Mimar Sinan, one of the greatest architects and engineers of the classical Ottoman period and a contemporary of the Italian Renaissance. Built as long as 179.5 meters, this colossal bridge is listed in the ‘2007 World Heritage List’ by UNESCO. This bridge is therefore considered as one of the architect’s genius works and has also come into fame because of the book ”The Bridge on the Drina” (1945) written by Yugoslav writer Ivo Andrić, Nobel prize winning author. Last but not the least in our list is the Tunel Spasa (Tunnel of Hope). This tunnel is the epitome of the siege of Sarajevo during the last war (1992-1995). It embarks us to the journey of reliving the times when this very tunnel was used as the gateway for the coming supplies, food and remedy linking the city of Sarajevo, which was entirely cut off by the Serbian forces. This tunnel reminds us of the humanitarian values of the people of Bosnia and therefore stands out as a unique museum nowadays for people to visit and realize the hardships during the war and also to remind themselves of the strength and willpower of Bosnia as a whole. 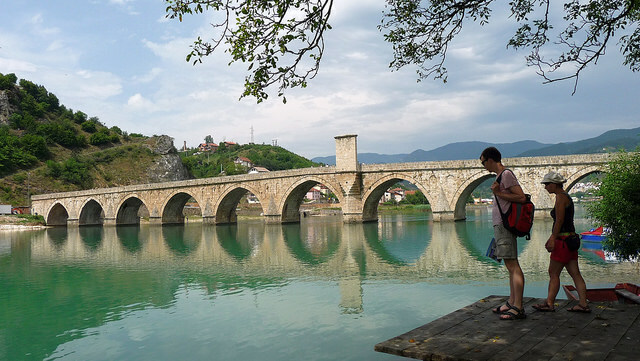 This is our list of ten wonderful landmarks and places to visit in Bosnia. However, these are not the only stunning places in the country, there are many more. Please do mention them in our comments section below.